The process of packing up the house and moving into our 2.4 backpacks seemed to last forever. A week ago we finally departed Brighton (via Lewes and the hospitality of Poppy & Ben) and all those weeks of stress are now a distant memory. 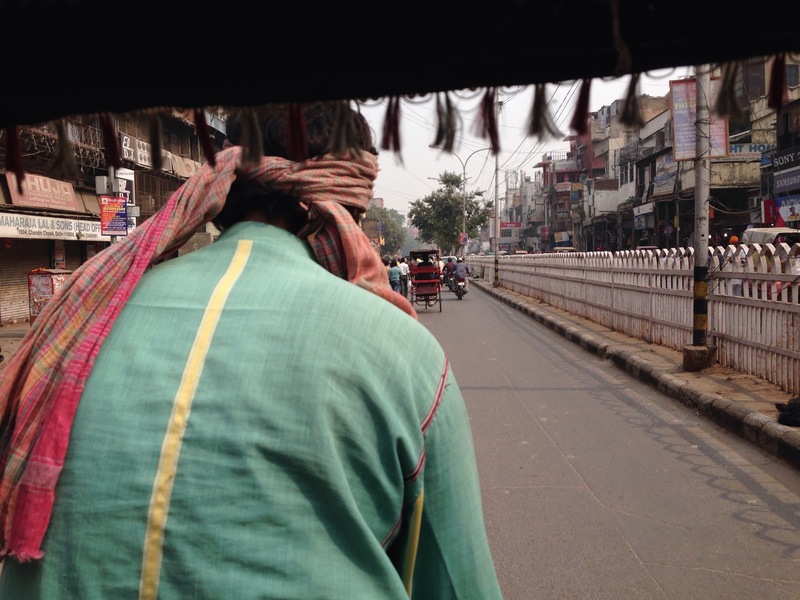 Whilst the Indian summer we were enjoying in the UK during October had acclimatised us slightly to what was to come, the noise, sights and smells of India’s capital were an awakening! We had planned our first stop to coincide with Diwali which has meant our first week in India went off with a bang, literally. Diwali night was spent with our generous hosts, Roop and Risal (Smiley BnB, Gurgaon), invited us to share their family meal, with gifts for the boys and festive fare fit for Lakshmi. 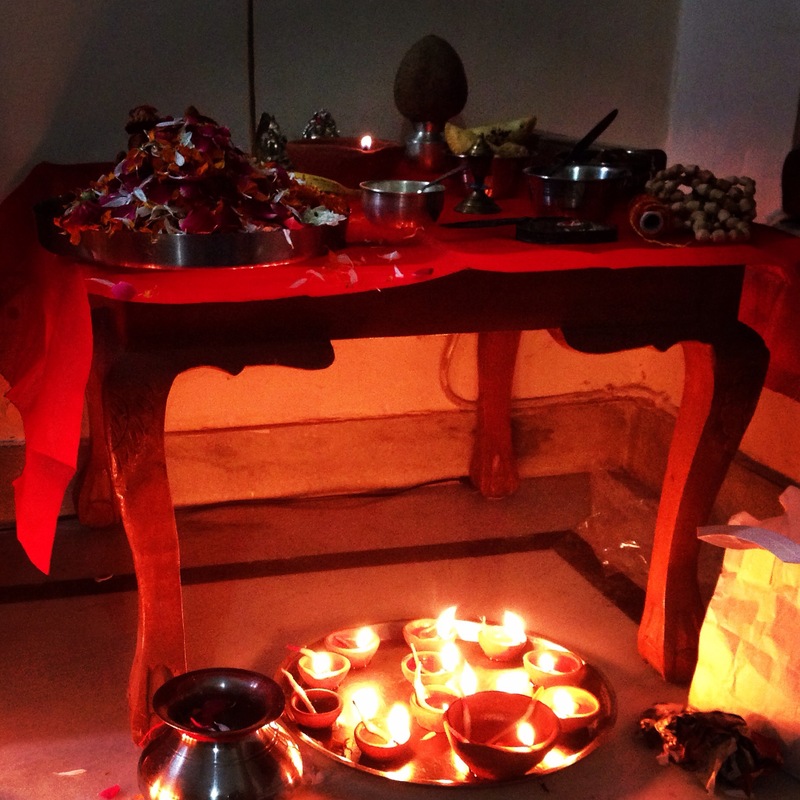 Risal also invited Sam to watch her puja (prayers) to Lakshmi and Ganesha. After our feast it was a case of if you can’t beat them join them. So we headed out on to the streets to watch fireworks and firecrackers being thrown about, and if truth be known, in search of a hotel roof terrace and our first gin and tonic. 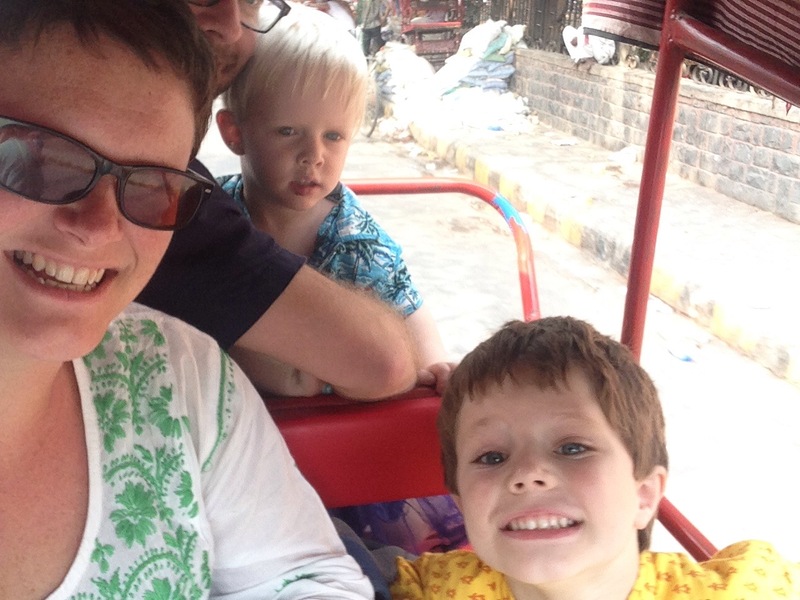 us piled into a pedal rickshaw in Old Delhi, including the Red Fort and Spice Market. In truth, we prefer the latter. The Metro is also something to behold. It’s the friendliest scrum I have ever encountered however, with the boys providing some entertainment to our fellow passengers. We have been really enjoying the food. From stuffed paratha at breakfast to mushroom shupna curry at dinner and all the delights in between. The boys are open to trying the delights of Indian cuisine although they are sticking mainly to plain rice and roti. On one occasion our efforts to get them eating curry were scuppered by a well meaning lady giving them a jam sandwich. Our stomachs, thus far, are fine. I know you were wondering. G – “the strange and interesting pig” that he saw outside our BnB. Diwali cookie and climbing at Emily’s house. Behind the scenes your of the reptile house at Delhi’s NZP although slightly to close to the angry cobra for our comfort. T – gives us a typically incongruous answer, such as going to Nana’s house or something to do with poo (at two months shy of 3 T’s toilet humour is unique and relentless). Sam – watching the boys take everything in their stride, all the wonderful food and finally having the time to think about what we will do with our year away. Nick – seeing Emily and meeting baby Rohan, being in Delhi for Diwali and planning our next leg: Rajasthan, Punjab and Nepal here we come.